We change both keys and locks, provide lock installation, replace broken keys, and offer any lock service with the sole purpose to increase home, office, and car security. Our company offers services in Hamilton, Ontario. Not only will our pros install a new high security deadbolt for you but will also be there to cover emergency needs fast. So if you want emergency lock change in Hamilton, call us. If you want to change cabinet, car, or sliding door locks, don’t hesitate to contact our company. Key change. When the key is stolen or simply lost, don’t ask us to replace it. As our experts will advise you, such unfortunate situations require more drastic actions. We provide lock rekey and cut a new key to fit the new lock configuration. Are you interested in replacing some locks at the office or in your house in Hamilton? Whether you want to install high security mechanical or digital locks or internal door ones, our pros will do a great job. Do you want to replace cabinet locks? Whether you want new file cabinet or baby locks, we can change the ones you have or install new ones. Can’t lock the window or door? Call our pros to check the lock. 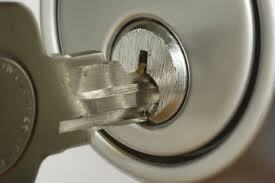 As long as the problem is fixable, our techs will do the required lock repair work in a jiffy. Need an expert to help you after a break-in? We provide lock change in a timely manner. We have all the tools and other equipment we need with us to do any lock and key service accurately. And our company is available to help you urgently any time. Give us a call if you want the best Hamilton lock change, installation, or repair service.